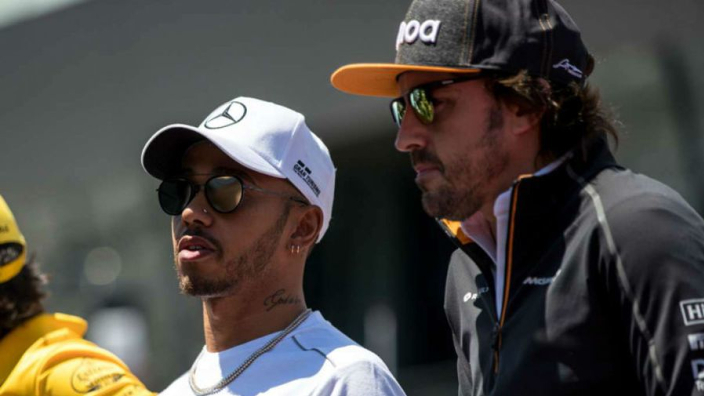 Formula 1 world champions Fernando Alonso and Lewis Hamilton are in the sights of Extreme E, a new all-electric series dreamed up by the founder of Formula E. FE chief Alejandro Agag and Gil de Ferran have launched the series, which will see electric SUVs race in extreme locations, including the Arctic, the Himalayas, the Sahara desert, the Amazon rainforest and islands in the Indian Ocean. De Ferran is a close friend of Alonso's, having worked with him at the 2017 Indianapolis 500 and at McLaren last year. Although details remain thin on the ground, De Ferran hopes to be able to attract the biggest names in motorsport. Speaking at the launch of Extreme E, De Ferran told the Daily Mail: "I was texting him [Alonso] about it this morning. "Fernando would certainly add a lot. He's very famous, he's fun, he's a great driver and it would be great to have someone of his notoriety and character in our event. "This appeals to those that love challenges, have a sense of adventure and an environmental conscience. "It would be great to have Lewis Hamilton participate, race and be part of this adventure too. Drivers like that would add a lot." Agag has claimed that nine manufacturers are interested in the series, set for launch in 2021. "Extreme E offers a unique sport, adventure and entertainment concept that has never been seen or done before," De Ferran said. "Viewers can expect a completely new way of consuming sport, with each episode telling not just the story of a race, but the need to protect these remote environments."